Did you know? California Wine Regions make up nearly 90 percent of U.S. wine production. This is because of the state’s soil and climate. The production in California alone is one third larger than that of Australia. If California were a separate country, it would be the world’s fourth-largest wine producer. Today there are more than 2,100 wineries in the state, ranging from large corporations to small boutique wineries. 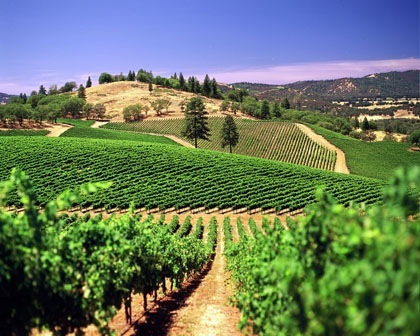 With sun-soaked vineyards as far south as San Diego and as far north as the Oregon border, California’s wine growing areas cover more than 700 miles and include more than 100 American Viticultural Areas (AVAs). AVAs are registered vineyard areas. They define the boundaries of the territory but don’t dictate grape varieties that growers can use, how they can grow the grapes, or how the winemakers can make the wine. Grape growers and winemakers are free to decide those issues for themselves. 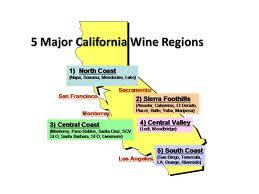 So let’s look at it this way… There are 5 major wine regions in California. North Coast, Central Coast, South Coast, Central Valley and the Sierra Foothills. Large AVAs usually encompass smaller AVAs within their borders or partially within their borders. 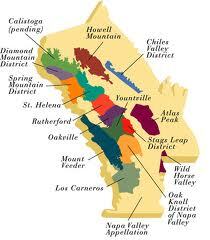 These regions-within-regions are sometimes referred to as sub-appellations or sub-AVAs. For example: Howell Mountain, Oakville, Yountville and Rutherford - to name just a few - all lie within the larger Napa Valley AVA, which is in the North Coast region. Even though the grapes may have been grown in Yountville, winemakers may choose to use the name Napa Valley on their label because Napa Valley carries far more recognition than Yountville. If you're planning a trip to one of these wine regions, you just have to check out Napa Valley. It's my favorite! Need a place to stay? Just click on the trip advisor link to the right to get hotel and bed and breakfast prices. Have fun! Have you visited any of the Wine Regions in California?